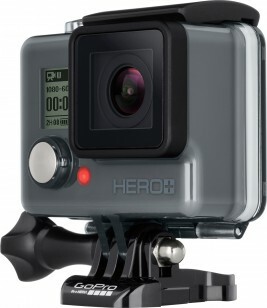 As you all know, Best Buy is the place to go to when you are looking for the latest cameras and camcorders, including the new GoPro HERO+LCD which arrives in stores just in time for Father’s Day. 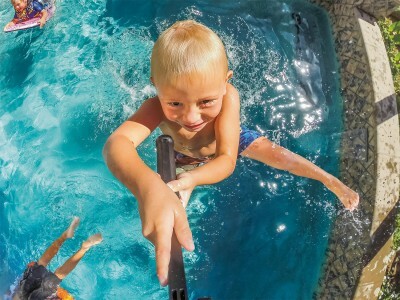 This new camera from GoPro is perfect for capturing those awesome family moments and with the long summer break and all of life’s journeys ahead, this is the camera you need to have in your bag. Go out and make memories and immediately relive them on the spot with the LCD display. Capture great action shots like the photo above, the new GoPro HERO+LCD is submersible up to 130′ so go ahead and get that shot with no fear. The QuickCapture feature enables you to power the camera and record with the push of one button and capture sharp, realistic footage in either 1080p @ 60, 50, 30 or 25 fps, 720p @ 60 or 50 fps or 720p SuperView @ 60 or 50 fps. Helps you capture sharp, realistic footage in 1080p60 video and 8MP photos, the built in battery offers up to 2 hours of recording time per full charge and supporting microSD cards up top 64GB you can shoot with confidence. 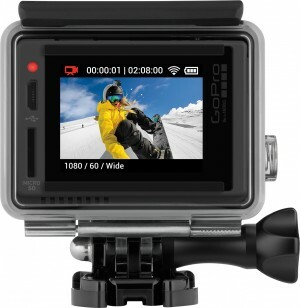 Built-in Wi-Fi and Bluetooth® connect to the GoPro App for shot preview, total camera control and easy content sharing to Instagram, Facebook, and more. Make it an awesome Father’s Day and help Dad capture all of the family’s adventures with these great offers from Best Buy.